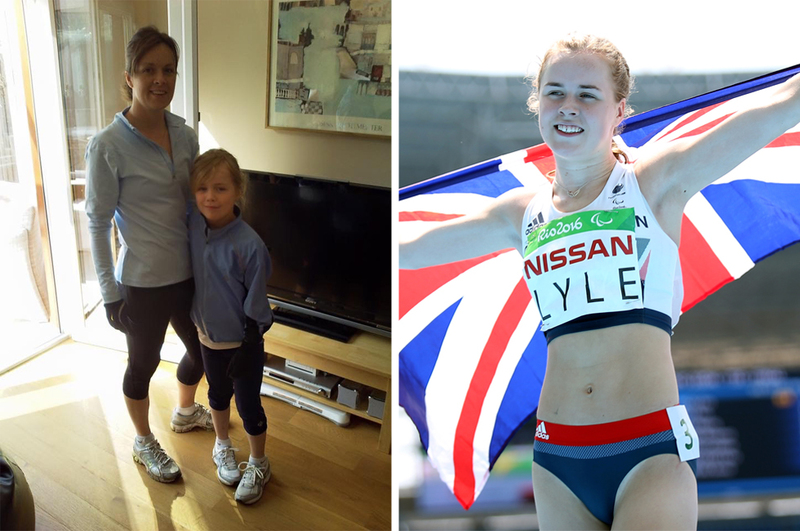 Maria Lyle is a top T35 sprinter who, having been diagnosed with cerebral palsy aged two, has gone on to achieve considerable success on the world stage. Last week, she became the first winner of a special award by the Evening Times newspaper – Young Scotswoman of the Year. But, as she and her mum Susan discuss, there have been many highs and lows for them along the way. My mum is the biggest influence not only in my sporting career, but my life in general. When I was younger I struggled quite a lot. Things didn’t come quite as naturally for me as they did for my peers and often I ended up feeling a bit rubbish about myself. Things drastically changed, however, after one PE lesson. My mum was my PE teacher at primary school. During one lesson, we had to complete the multi-stage fitness test (bleep test). As someone who fell over constantly and ended up with cut knees 90% of the time, you could say I wasn’t that keen to join the lesson. To everyone’s surprise, I was the last one left in the test. That was the first time I’d ever felt such a sense of achievement. From that moment, running would become a big part of my life. My mum would take me out on short runs and I ended up being part of the school’s team she trained for cross-country races. As time progressed, my weak legs became stronger and falling over was less of a regular occurrence. Running gave me a sense of belonging and something to look forward to after school. As my running became more serious I had dreams of winning titles and breaking world records. But for some reason, over the next few years, I found the enjoyment rapidly vanished. My mum would give up lots of her time – she would lead my sessions and drive me all over the country so I could compete. She would even take time off work to travel abroad with me or to watch me compete at major championships. Because of this, I would get worried if I didn’t run well. 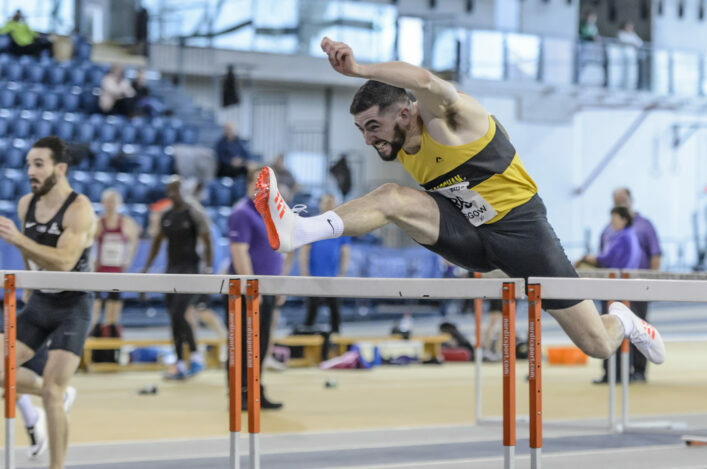 After years of a vicious cycle, before the 2018 European Championships I revealed something to my mum that I have never spoken about before. 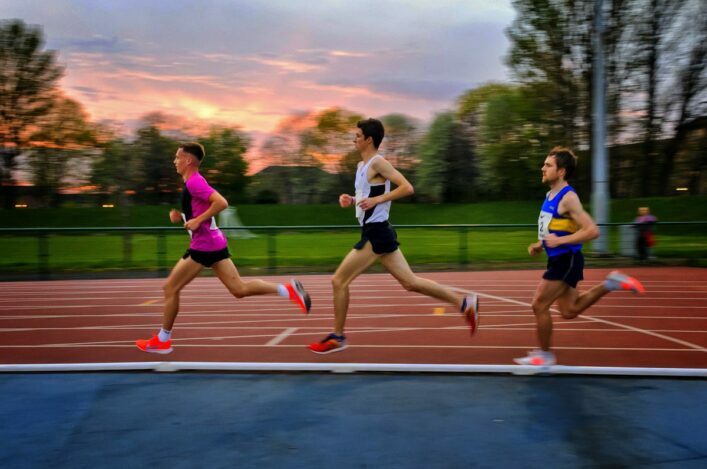 I broke down and cried for hours expressing how rubbish I felt about myself in both my running and personal life. Running had completely taken over and there was nothing positive. In my darkest moment my mum was there for me. She was the one who listened for hours. She was the one who hugged me. She was the one who made me realise I needed professional help, and a few days later I was diagnosed with having anxiety. From that day, my mum and my immediate family have supported me. They have made me realise that there is more to life than running. That life is so much better when you enjoy it. With my mum’s love I have managed to get a better balance in my life. I’m now working at the Scottish Parliament whilst training. I’ve also got a loving, supportive boyfriend who has really helped me in many ways. My running is also getting back on track and I’m beginning to see race times which reflect my ability. I can’t begin to thank my mum enough for everything she has done for me. My sporting journey has been far from perfect but I wouldn’t be the person I am today without having her by my side. My experience is probably a little different to many parents with children involved in sport. I was Maria’s PE teacher throughout primary school and have been very much involved with Maria’s development as an athlete from day one. Having Maria in my class was great, but up to that point I didn’t have much experience teaching children with a disability. It made me think about the way I delivered lessons and how I could ensure Maria could reach her full potential. I wanted Maria to be involved in PE the same way as her peers. As Maria developed, I soon became aware that in many areas Maria could definitely hold her own or even challenge her classmates. Maria seemed to have a natural ability for running and this first became apparent during a lesson where we conducted the “bleep test”. To my surprise and possibly her peers, Maria was the last person standing. From that day onwards, Maria and I started to go out on short runs together. She was eight years old at the time and for the first time in her life I could see Maria had found something she loved and she began to blossom. Fast forward 10 years, Maria is a Paralympic, world, Commonwealth and European medallist. People may say that’s amazing, but the medals and recognition have not come without personal cost. 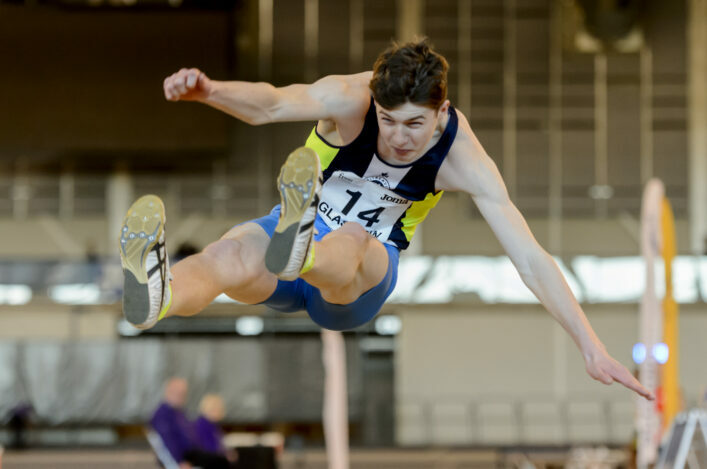 Being a young funded athlete has its benefits but it also comes with pressure. Over the past four years Maria has struggled with anxiety and the thought of failure started to interfere with her performance. Despite having a very close relationship with Maria, she didn’t open up to me about this until last year, just before the European Championships. Strangely, Maria’s acceptance of her issue has led to a massive turnaround in both her personal life and her performance. Looking back, would I do anything differently as a parent? Of course, I would still have encouraged and supported Maria but I guess my main problem is I am a naturally competitive person, and trying to focus on the bigger picture and not just the running is always going to be hard. Maria’s success on the track has brought about lots of excitement and attention, and it’s hard as a parent not to get swept up in all the hype. Looking back now, I wish I’d paid more attention to Maria’s mental health. As a parent, you are the best-placed person to ensure your child is in a “good place” but it’s also easy to miss because the gradual decline in mental health can be confused with other things. 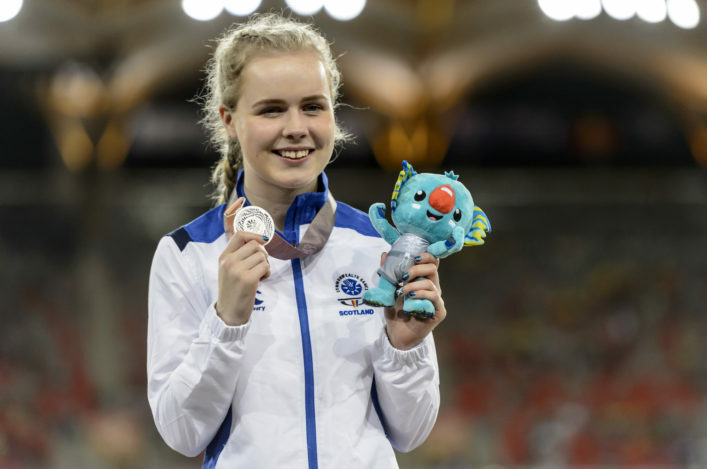 My proudest moment is not Maria winning medals on the world stage – it is probably Maria competing in Glasgow at the 2019 National Indoor Championships. For the first time in years, I saw Maria stand on the start line feeling relaxed and run through the finish line with a smile on her face. 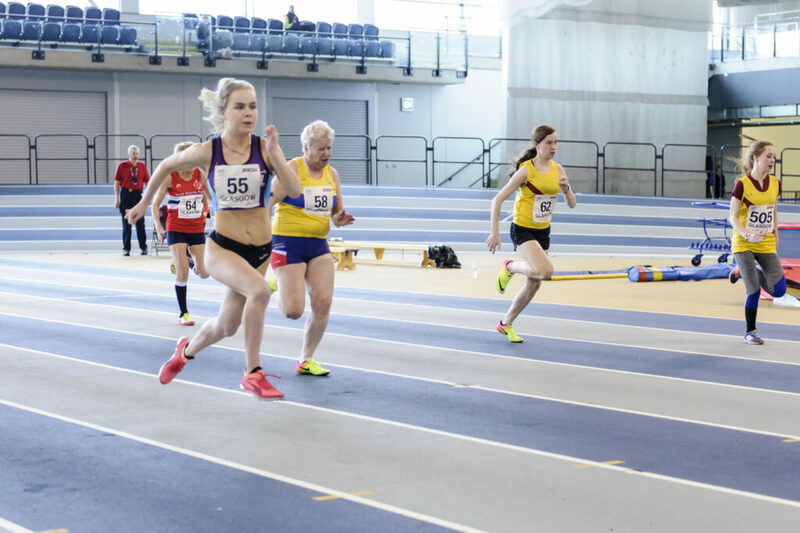 Along with the support from us as a family and her coach, Jamie Bowie, Maria has turned herself around and is back on track in all areas of her life.